You can't fit a recording studio in your gig bag. You can't fit a recording studio in your gig bag. 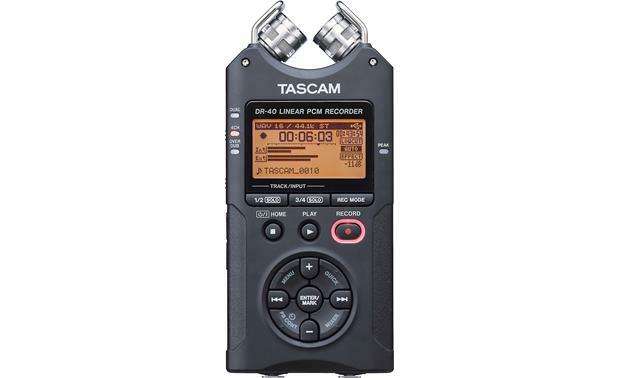 But the Tascam DR-40 is an impressive compromise. It puts four-track recording in the palm of your hand to easily capture rehearsals, performances, or informal jam sessions. 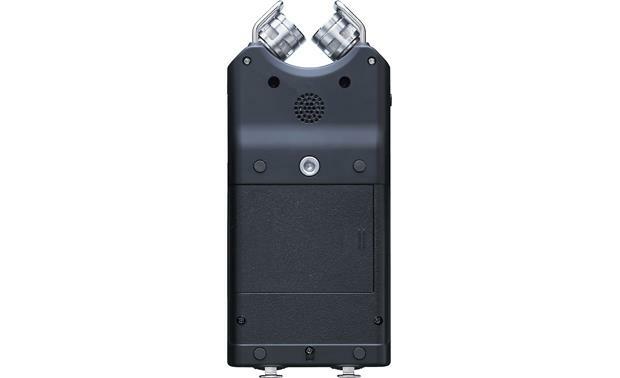 Two adjustable mics are built into the top, offering high-quality XY or AB stereo recording. Flip the recorder around and check out the combination XLR/TRS inputs. They supply phantom power for use with condenser mics, so you can capture intimate vocals in your home studio. Or plug in a line-level signal from a mixing board to play and sing along with a pre-recorded track. The DR-40's adjustable cardioid microphones can be arranged in AB (shown) or XY recording patterns. Capturing clean, clear recordings outside of the studio isn't always easy. The DR-40 has lots of features to capture more musical detail and less noise. Dual Recording mode automatically uses tracks 3 and 4 to capture a "safety" track at lower input levels. So if your main recording is ruined by someone accidentally moving the recorder too close to a PA speaker, you'll have a usable backup. Peak Reduction can quickly lower mic input levels during loud dynamic changes in the performance you're recording, such as when the guitar player turns it up to "11" during his solo. A limiter keeps sudden loud bursts of sound from distorting your recordings. All of these features are selectable using the DR-40's LCD monitor and ergonomic button layout. The balanced inputs on the bottom of the DR-40 can accept XLR mic cables or TRS line-level inputs. Once you've made a recording, you can play it back using the DR-40's built-in speaker, or connect your headphones to the line out jack. Then you can apply EQ or add reverb to your recording. There's even a built-in mixer, so you can mix down four-track recordings to a single stereo track. Add reverb, compensate for time delays, and adjust pan and volume settings for each track. Starting to look more like a real studio, isn't it? Wish you could add some harmonies to that lead vocal? With the DR-40's overdub mode, you can go back and record alongside previous recordings. With two-track recordings, overdub mode can use tracks 3 and 4 to create a second stereo file, so you can create the perfect mix between the original and overdub recordings. With so many features and options, the DR-40 is a good fit for almost any musician looking to hone performance and songwriting skills. Revisions in "Turning the unit power OFF automatically"
Excellent recording quality! Very satisfied, I would recommend this to anyone. 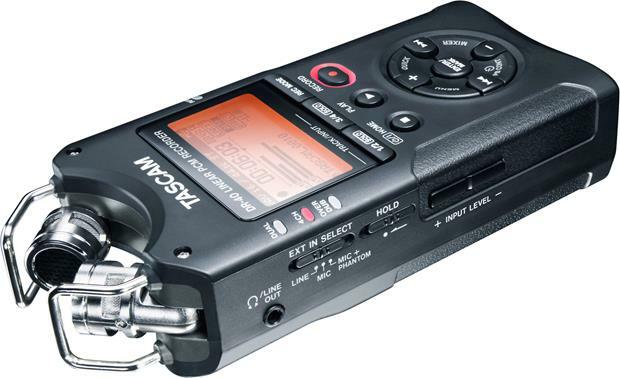 Overview: The TASCAM DR-40 is a hand-held portable stereo digital recorder that is designed for musicians. You can make high quality 4-track recordings using the LPCM format, or a large number of recordings in MP3. 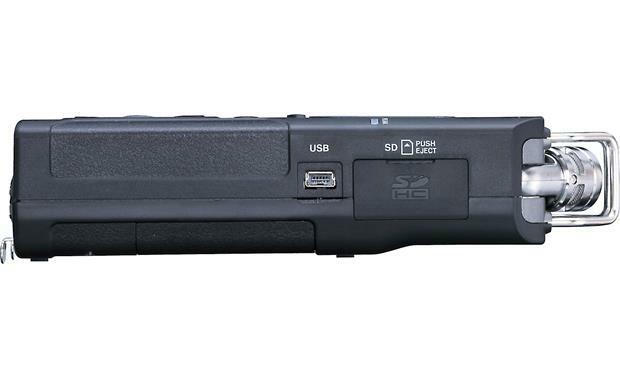 The recorder includes a slot for an SD/SDHC card (up to 32 GB), and includes a 2 GB SD memory card for hours of recording time. It has two microphones with adjustable angles, two Mic/Ext inputs, a mono speaker, and a line/headphone output. The DR-40 operates on three AA batteries (included). The unit weighs 7.51 ounces (not including batteries). LCD Display: The DR-40 features a 2" (diagonal), backlit, monochrome LCD (128 x 64 pixels) which indicates recording and playback information. The recorder will display the elapsed or remaining recording time in hours, minutes, and seconds. Date and Time: The recorder features a built-in clock. If you have set the time and date, information as to when a sound file was recorded is stored automatically with that file. Microphones: The unit features two high quality condenser microphones mounted on the top of the recorder. The angles of the microphones can be adjusted to suit the recording situation. You can choose Clear Stereo Sound by angling the microphones in a closed position (X-Y position), or choose Wide Stereo Sound by angling the mics in an open position (A-B position). 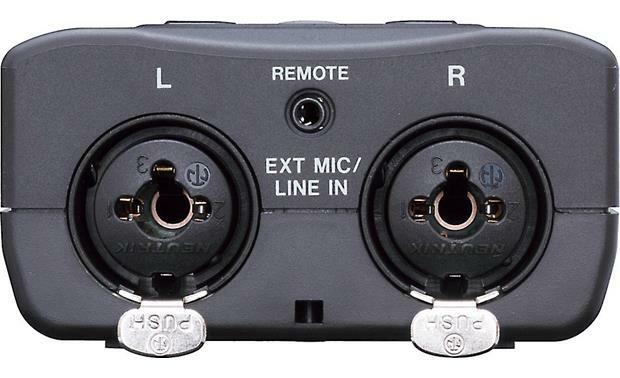 Mic/Ext Inputs: Located on the bottom of the unit are two inputs for connecting external mics or an external device. These balanced inputs have locking XLR/TRS combo jacks, which can accept 3-pin XLR or standard 1/4" plugs. The built-in microphones, and the settings of left/right channels are disabled if an external microphone is connected. If the external microphone requires plug-in power, the DR-40 can be set to provide +24V or +48V of phantom power. Low Cut Filter: The device features a low-cut filter that can be engaged to reduce noise, such as wind noise, during recording. The cut-off frequency can be set to 40 Hz, 80 Hz, or 120 Hz. Formatting Memory Cards: Memory cards can be formatted in the unit to prepare them for use. You can choose a quick format, which erases all music files on the card and automatically creates new Music and Utility folders, as well as the DR-1.sys file that is necessary to use the card with the unit. Full formatting checks the memory for errors while formatting, and takes longer to complete than quick formatting. USB: The DR-40 has a Mini-B 2.0 (High speed) USB port on the side for connecting the recorder to your computer for transferring files or for providing USB bus power. A short USB cable is provided with the unit. With the optional TASCAM PS-P515U AC adapter (which plugs into the USB port), you can operate the unit on ordinary household current. The DR-40 is compatible with the following Operating Systems: Windows XP, Windows Vista, Windows 7, Windows 8, and Mac OS X 10.2-10.8. Headphone/Line Out Jack: The DR-40 has a 3.5mm stereo jack for plugging in a pair of headphones, or for connecting to an external device or a powered monitor. You can listen to files played back or monitor the recording as it is made. Remote Jack: The recorder has a 2.5mm sub-minijack on the bottom (between the external mic jacks) for connecting a remote. 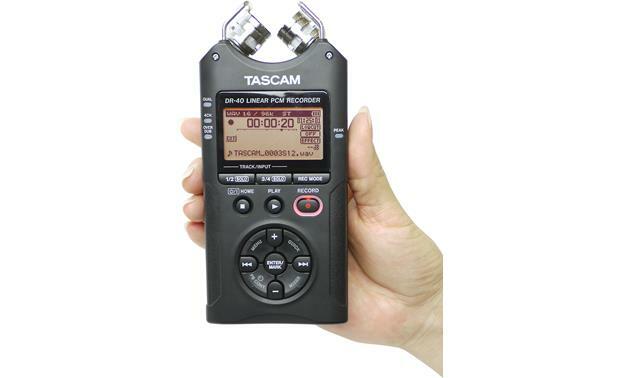 The optional Tascam RC-3F footswitch remote or Tascam RC-10 wired remote can be used to operate the unit. 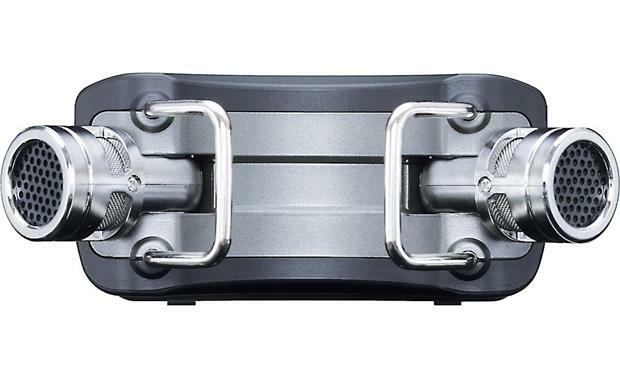 The 3-pedal RC-3F footswitch offers assignable functions for the left, center, and right pedal. 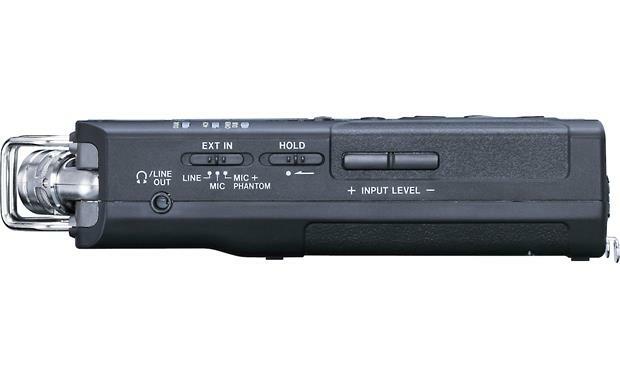 The RC-10 has 4 function buttons, as well as six control buttons (stop, play, rewind, fast forward, record, mark). Tripod Socket: The DR-40 is equipped with a standard 1/4" tripod socket on the back so you can mount the recorder onto a tripod, if desired. Dual: recordings are made using one input source (mono or stereo pair) to create two files with different input settings. This mode captures a safety track at a lower level to avoid distortion. Either two mono or two stereo recording files are created. 4CH: recordings are made using both the built-in mics and the external inputs to record two pairs of inputs as two files. Two stereo recording files are created. Overdub: This recording mode adds new sounds to the playback file. You can choose Mix Overdub, in which the playback sound and input sound are mixed to create a new file, or Separate Overdub to create a new recording file with only the input sound. Maximum File Sizes: You can set the maximum file size in the Menu. The choices include: 64 MB, 128 MB, 256 MB, 512 MB, 1 GB, or 2 GB. If the maximum set file size is exceeded during recording, the unit will automatically continue recording in a new file. It cannot exceed a recording time of 24 hours. Peak Reduction: The input volume is reduced automatically to an appropriate level when excessively high signals come in. Automatic Level Control: The recording level is controlled automatically to increase or decrease the input level when the input signals are too small or too large. This mode is useful for recording at meetings. Manual adjustments to the recording level cannot be made. Limiter: Engaging the limiter prevents distortion of sounds when excessive high input signals come in suddenly. This mode is suitable for live performances with large volume changes. You can adjust the level manually during recording. File Names: Each time a file is recorded, a file name is assigned to the recording. The file name can be either a 6-character word or a 6-digit date (yymmdd format). You can set the word file name, while the date file name is automatically set using the unit's internal clock. Overdubbing: Overdubbing allows you to play an instrument or sing as you play back a saved track and mix and record both sounds in a new file. Marks: The DR-40 lets you place an electronic mark in a recording to identify specific points in the recording. 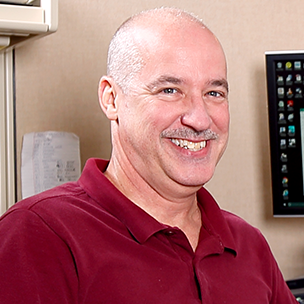 Mark information is stored in the file with numbers between 01 and 99. Marks stored in a WAV file are BWF-compliant, and can be added automatically or manually. During playback, you can immediately move to marks in the currently selected file when paused. Automatic Recording: When Automatic Recording (Auto Rec) is enabled, the unit will start and pause recording, renew files, and set marks automatically, depending upon the input signal level. Pre-Recording: Pre-recording enables you to start recording up to 2 seconds before you press the Record button. This enables you to avoid missing the exact moment a recordable event begins. Self Timer: Like a camera, the recorder's self timer lets you start a recording after a set period of time. Self timers can be set to 5 seconds or 10 seconds. Browse Screen: The DR-40's Browse screen lets you view the contents of the Music Folder containing the audio files on the SD card. You can play or erase selected audio files, organize them into folders, and add tracks to the playlist. Divide: A recorded WAV file can be divided into two at a specified position. This allows you to edit out unwanted portions of a track by placing them in a separate track and deleting them. File Swap: Files recorded in 4CH or Overdub Separate modes can be swapped for other files. For example, in 4CH mode, a file recorded by the built-in mics can be swapped with a file recorded by external mics or equipment. Playback Control: The Playback Control screen allows you to access some special playback control functions. You can playback a selected section of a track repeatedly (Loop Playback), or change the tempo of music without changing the pitch in a range from 50% to 150% normal speed (Variable Speed Audition, or VSA). Playback Equalizer: You can choose from different sound types to enhance the sound quality of a track by using the Playback Equalizer (PlayEQ). The PlayEQ lets you make adjustments (+ or -) in the High (treble) Middle, and Low (bass) frequency ranges. Level Alignment: If the playback sound is very small, the perceived overall level can be increased to enhance listenability. Jump-Back Playback: During playback, you can press the play button to move back a few seconds to hear a section of the track again. The Jump-back Playback function is adjustable in the menu, allowing you to set the jump-back time to 1-10 seconds (in increments of 1 second), as well as 20 seconds and 30 seconds. Hall 1: A bright reverb in a large hall-like space. Hall 2: A warm reverb in a large hall-like space. Room: A reverb in a small indoor space. Studio: A reverb in a studio-like space. Plate 1: A bright plate reverb. Plate 2: A warm plate reverb. Tuner Function: You can use the DR-40 to precisely tune an instrument. You can calibrate the tuner by adjusting the reference tone (A) between 435 Hz and 445 Hz (in 1 Hz increments). The Tuner displays the mismatch between the tone of the musical instrument you are tuning and the reference tone. You can adjust the input level, if needed. Note: The tuner can only be used with the built-in mics.